The Patriots continue to make a bunch of roster moves during the bye week, signing DL Khyri Thornton to the active 53 man roster as well as signing four more players to the practice squad. With a game next Sunday looming against the Cowboys in Dallas, it looks as if the team expects Dallas to go run heavy by the recent additions of Thornton, Jon Bostic and Akiem Hicks this week. 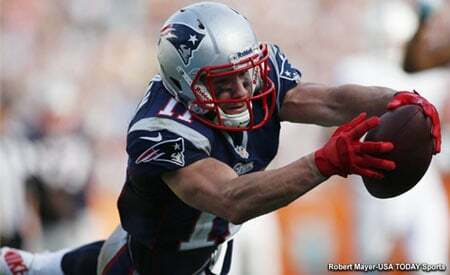 Thornton was originally signed by the Patriots on September 6 after being cut by Green Bay. He was released two days later before being re-signed on September 17. 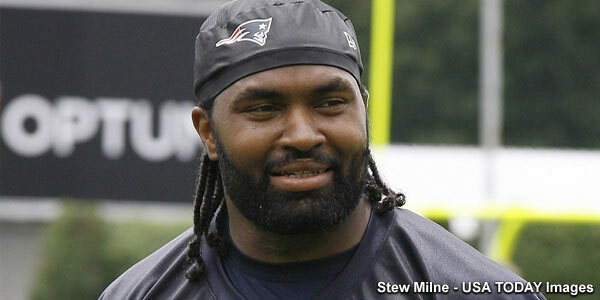 Thornton is a 6’3, 315 pound defensive tackle who will add depth to the interior line. He was originally a 3rd round draft pick of Green Bay from Southern Mississippi in the 2014 NFL Draft with the 85th overall pick. 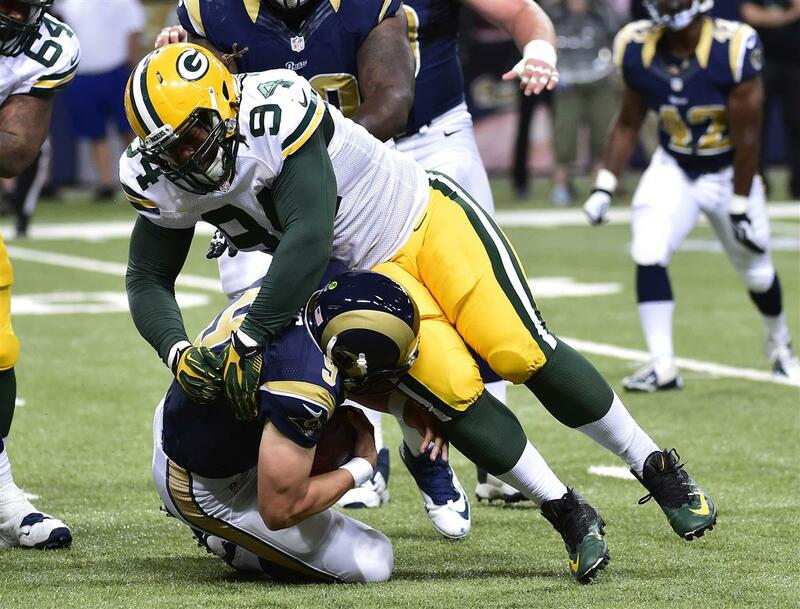 He was considered a good interior pass rusher coming out of college however he was beset by hamstring problems and showing up out of shape in both 2014 and this season which led to his ouster with the Packers. 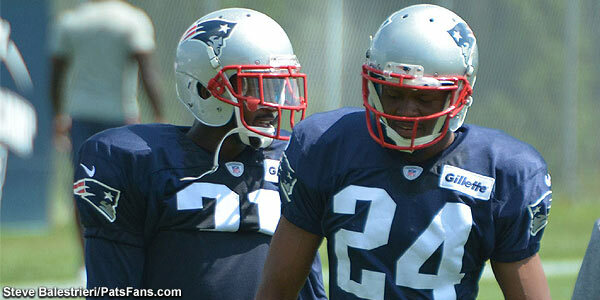 The Patriots also signed DB Brandon Dixon, OL Sean Hickey, WR Austin Hill and LB Eric Martin to their practice squad. Martin was impressive in the early going of training camp before being cut after the first game of the regular season. Dixon played for the Bucs last year after failing to latch on with the Jets who drafted him from Northwest Missouri State. Hill spent training camp with the Jets after originally being signed by the Raiders. He’s a big bodied (6’3, 212), WR who had a fantastic 2012 at Arizona with 81 catches for 1364 yards and 11 touchdowns. He then blew out his knee (ACL), in 2013 and struggled last season to find that separation and suddenness in his cuts that he showed prior. Big and physical. Plays to his size. Runs with attitude after the catch and can take weaker cornerbacks for a ride. Puts defenders on his hip and uses his body to shield them. Good chance lateral quickness improves as he continues to trust his recovery from injury. Dedicated weight-room worker. Possesses strong hands and catching the ball comes easily for him. Effective blocker who can help spring big runs. His 2012 film shows very effective play from the slot. It will be interesting to see if he is finally recovered from his injury and is ready to compete. After jettisoning Kenbrell Thompkins, perhaps the Patriots feel Hill can be stashed on the PS and be ready to compete in 2016. If he can return to his pre-injury form, he’ll be an intriguing signing. But the Patriots front seven continues to be tweaked this week, with big games against Dallas and Indianapolis on the radar, Bill Belichick and the team wasn’t taking vacations during the bye week. Now the 53-man roster is filled and so is the practice squad. This entry was posted in Patriots Commentary, Patriots News and tagged 2015 NFL Season, 53 Man Roster Projection, Akiem Hicks, Austin Hill, Bill Belichick, Brandon Dixon, Eric Martin, Jon Bostic, Khyri Thornton, New England Patriots, NFL, Patriots, Patriots edge rushers, Rob Ninkovich, Sean Hickey, Tom Brady on October 2, 2015 by Steve Balestrieri.